What kinds of orders can not be accepted for manufacturer? In the supply and demand, customers in the search business will have this experience: constantly looking for suppliers, continue to price comparison, once hear a lower price of the enterprise, immediately change the supplier, that the price is ace, Only to win the low price, to master the control. But is the truth really like that? Today, the market is highly competitive, for customers repeatedly parity, most companies are also distraught. I heard the customer feedback that the home is cheaper than their own prices, they began to eager to reduce prices to meet the customer’s pursuit of low-cost psychological, and ultimately to a few loss of the price of the order to the next, would like to start from the single stable customer , And then from the subsequent cooperation in the back; or in order to reduce costs, companies may be in the product, material, technology and other aspects of doing something, cut corners, and finally to the enterprise, the customer and the industry as a whole word of mouth can be imagined. Sunday Knight Co Ltd, an acrylic manufacturer, a small business started, the company aims to provide customers with solutions, while the number of orders is also our assiduous, but as a production-oriented enterprises, we need to profit to maintain the normal operation of the entire enterprise team, And ultimately achieve a win-win effect and the customer, so in the acrylic processing production order cooperation, we will be screened. For large orders, enterprises to pay the material, manpower, cost and other aspects of the resources are huge, if the customer to pay the deposit is too small, may be because the customer on the long production cycle and according to the requirements of the market changes caused by the increase in goods Period, the payment period is more than the estimated value, it may be because a large order suffocated a business, which is worth the enterprise. Customer payment, business services, which is the basic transaction process. But there is no part of the party will give their own to do too high estimates. They usually will be very low prices require enterprises to produce the highest quality products, and many companies will be forced to accept down, but in the end may be due to the quality of the requirements of Party A was not required compensation, the final pay is often Enterprise yourself. There are many such phenomena on the business field: the quality of the product is not clear, the delivery period is not clear, companies do not know how to produce a very passive and disrupt the production rhythm of the enterprise, resulting in a variety of unexpected situation. 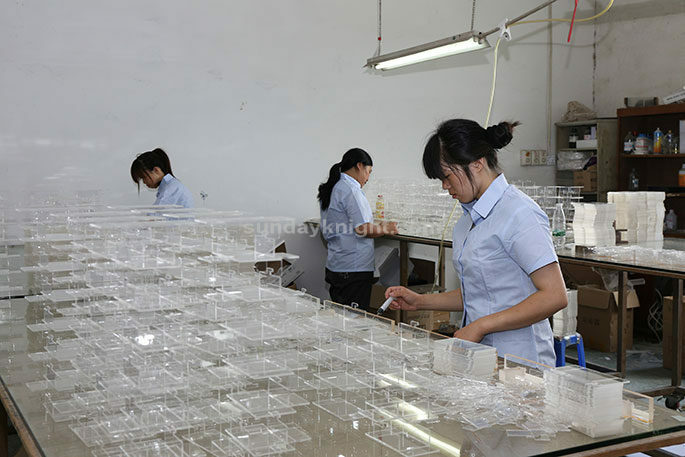 Usually, Sunday Knight Co Ltd in the contract with the customer when the contract will be clearly customized style requirements, product quality requirements and production delivery time, all customer orders are scheduled to arrange, in an orderly manner of production, so that customers and their own, are Is more efficient. There is an urgent need to pay such a situation, it may be because the customer is also done elsewhere, but because of the number of products or other plans and so on and then free to find a place to make up. Often this is whether the customer or business is like a gambling, if the production of enterprises keep up with the customer will be timely settlement; the other hand, the customer may be a little bit of the product or other reasons to cancel the order, this is not conducive to business And customers reached a long-term cooperation intention. Often, too many middlemen, for the quality of the product control can not be done very accurate, because the requirements of the final customer, if the intermediary can not convey clearly, may be due to a missed one, the end customer does not recognize, indirectly, brokers Do not bear, and ultimately by the enterprise to bear, then the enterprise can only lose money or in vain to produce a batch of defective products. Of course, Sunday Knight Co Ltd as a direct product manufacturers, will be a variety of brokers or product agents to find us in cooperation with us, in order to avoid the above situation, we usually with the middlemen and the final customers are closely linked, The necessary situation, our designers and technicians will also communicate with the customer or face to face clear.